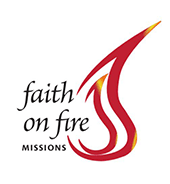 These are words from Priests who have experienced (as a sponsoring Pastor) a Parish Mission with Faith on Fire Missions. This is surely the most compelling information we can provide you concerning actual mission experiences. We have found that these quotes offer better insights than anything we could explain or say. They also inspire and encourage us to deepen our commitment to this important work of God, a labor of love to which we have dedicated our lives. "The parish mission was spiritually nourishing and renewing, intellectually and theologically solid. One of the best, if not the best, parish mission I and my parishioners have ever experienced." "This was one of the best missions that I have ever been involved with, in 39 years of priesthood. You brought a powerful message of God's love to our parishioners using music, singing and powerful sharing. I saw many people moved to tears with their hearts and minds touched very deeply. No doubt, miracles happened and are still happening because of this mission. Just a few examples, a blind man told me that 'Vince did not heal my eyesight, but he healed my heart and now I can see more clearly what God wants me to do with my life.' Another man came to me in Confession and said: 'It's been 35 years since my last Confession and here are my sins.' He told me that his eleven year old son had urged him to come to the mission and that this was the greatest gift he had ever received." "There is no doubt in my mind that the mission we experienced here at St. John's was one of the greatest parish missions I have ever experienced. From the moment you arrived, there was a kind of electricity in the air that built and built and seemed to energize the parish as few other experiences have. I knew on Sunday evening that you had done the impossible: brought our people out! The candlelight service on Monday evening was a beautiful event that people still talk about. The Penance service on Tuesday certainly changed my mind (and others) about large Penance services. And Wednesday was an inspiring climax to the mission, an ending that was thrilling and yet one that I wanted to go on and on." "No matter what age grouping, from grandparents to preschoolers, everyone was welcomed and felt a part of this prayerful time. In my 31 years of priestly ministry, I have never had anyone accomplish what you have done in just a few days. Your warmth and encouragement in word and song penetrated our minds and hearts and opened our eyes and voices to sing new songs unto the Lord…You are a modern troubadour and I’m glad our paths have crossed." "Your gifts of preaching and singing are beyond what one person should possess. You are a blessing to the church everywhere." "You are, in my humble opinion, the best mission provider I have ever heard, seen, or even heard about." "Well your mission gave our assembly a voice. And that voice "awakened our hearts." For once, the active participation of those in the assembly far outnumbered those who came with arms folded and mouths closed." - "Your deep and vibrant and beautiful voice and music, your message so full of passionate conviction mingled with the gleeful humor of family experiences, brought a new spirit of enthusiasm and commitment to the faith life of this parish family. I heard singing in our church with a volume and enthusiasm I have never heard before. The crowded church for each of the four evenings of prayer was physical evidence of the powerful impact of your presence and message." "I was so pleased to witness the participation and commitment of over 800 people to each of the daily gatherings. Over and over again individuals stated how they couldn’t wait to get to the next session." "My words cannot fully express the depth of our gratitude to you. There is no doubt in my mind and heart that you are doing precisely what God intended you to do because of the power of your words, those either spoken or sung. As I said many times during the mission, Vince, you made a Pastor's dream come true. Your talents as mission director, composer, recording artist, and delightful speaker made this mission the best I've ever seen in my 28 years of priesthood. I have never seen one person touch the hearts of so many." "As I share with my brother priests the uplifting experience of our five days together in October…I also share with them the fact that your message in word and in music is ‘grounded’ in sound Theological and liturgical teaching and tradition…with Jesus Christ as the center or basis of all. I again thank you for your ministry and pray that you will continue to share the Good News of the Gospel of the Lord with all you touch through your Parish Workshops, Concerts and Missions." "The penance service on Tuesday night was one of the most moving celebrations of the Sacrament of Reconciliation that I have experienced in 37 years as a Priest. Lives have been changed and you should know that you have been an instrument in God's hands, allowing Him to accomplish great things here…Your orthodoxy is praiseworthy in an age when so many "sophisticated" people are ashamed to profess their faith in the real presence of Jesus in the Blessed Sacrament. You are indeed a powerful witness. You are always welcome here." "This is the first time there were more people at the end of the mission than at the beginning. I don’t remember these words being said about previous experiences of parish missions. As a Pastor, the most refreshing dimension of this mission is that the teens and children participate – the whole family can attend and grow close together. And his affirmation of the Priesthood and of the Magesterium is beautiful."